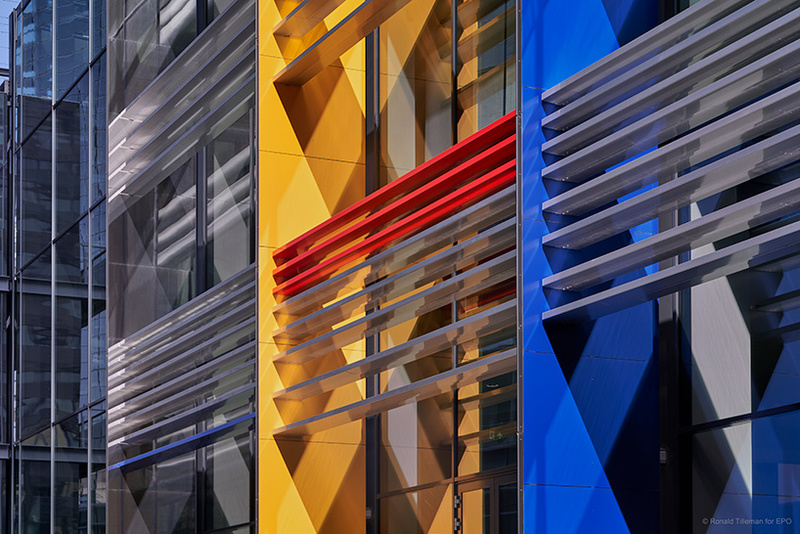 jean nouvel is an acclaimed architect who established ateliers jean nouvel in 1994. based in paris, the firm is now one of the largest architecture practices in france, with over 30 active projects all over the world. 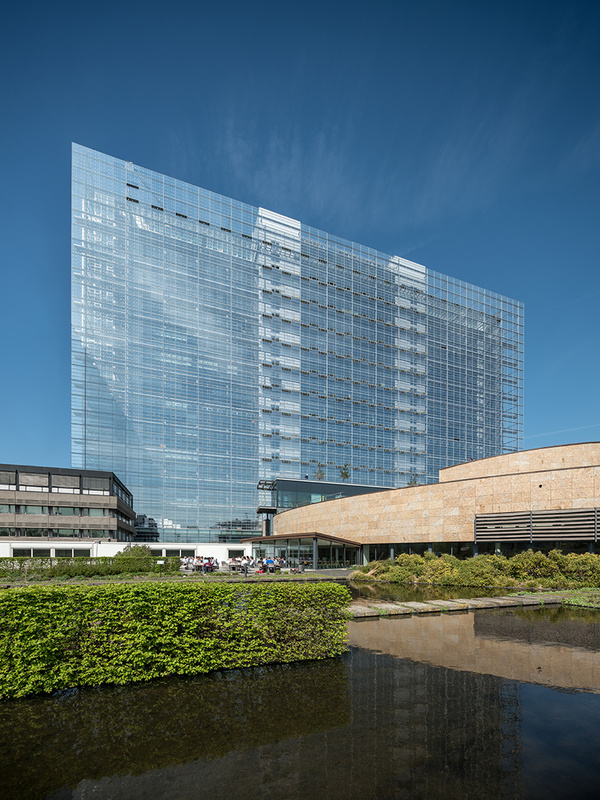 designed by ateliers jean nouvel and dam & partners, the new european patent office (EPO) building has been inaugurated in the dutch town of rijswijk. 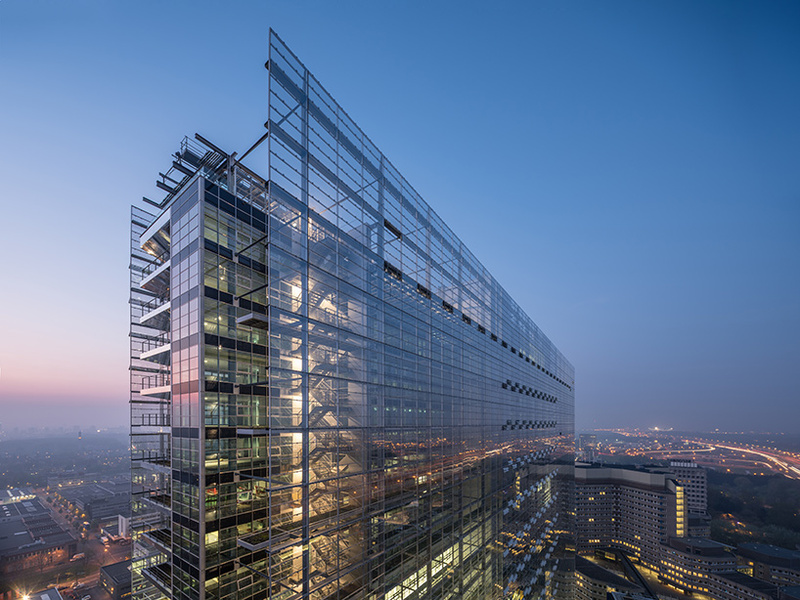 billed as the ‘slimmest and tallest glass and steel construction of its kind in europe,’ the building houses around 2,000 staff members over 85,000 square metres. 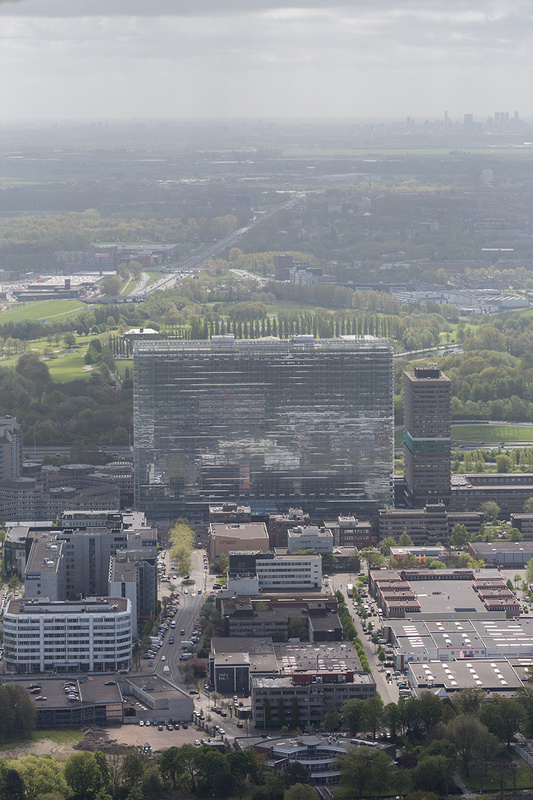 visually, the structure draws upon the dutch landscape, with its reflective glass surface reproducing the sky, land, and water around it. 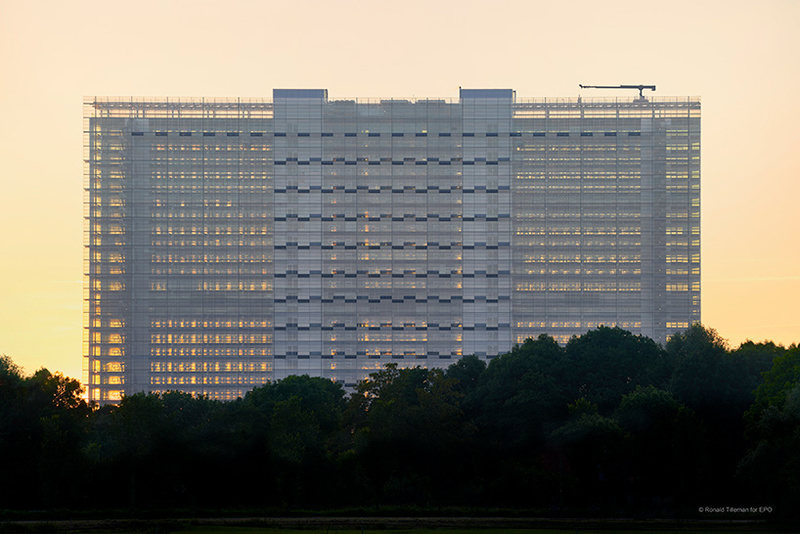 the office building — which jean nouvel collaborated on with amsterdam-based firm dam & partners — measures 156 meters (512 ft) in length and 107 meters (351 ft) in height, but just 12.6 meters (41 ft) in width. consequently, despite being 27 floors high, the slender design allows light to pass through, creating a sense of transparency. 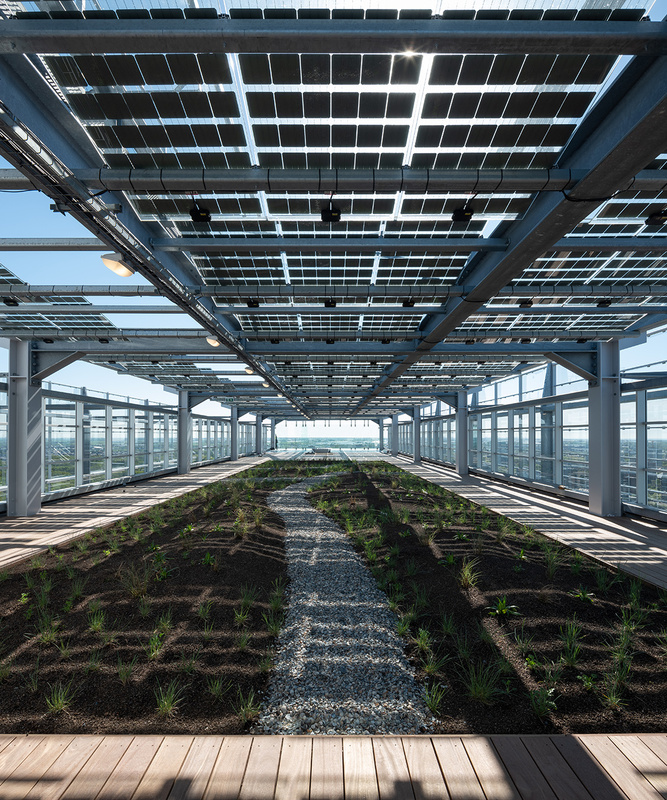 in addition to offices, the building’s additional facilities include meeting rooms, a training center, a café, and a sky garden. from an environmental standpoint, photovoltaic solar panels provide a source of renewable electric energy, while rainwater is collected and used for flushing toilets and watering plants and flowers. 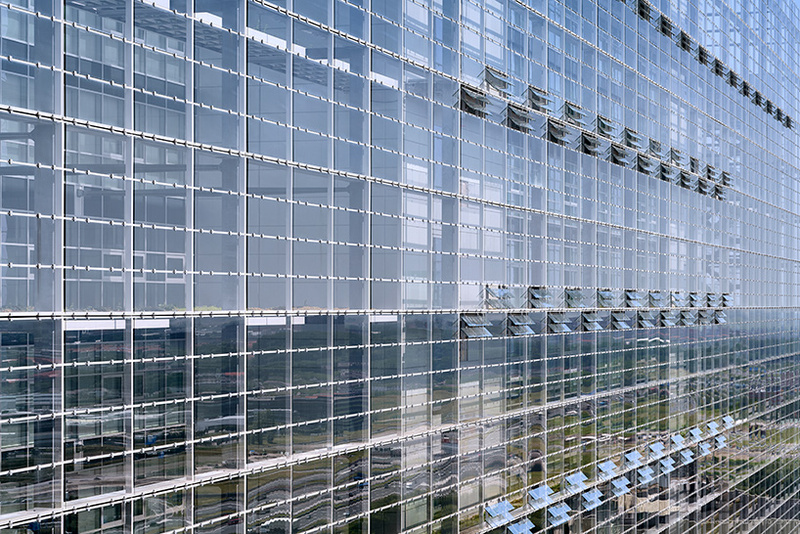 a double glass façade houses hanging gardens, containing 300 varieties of plants along the entire vertical interior. see designboom’s previous coverage of the project here.